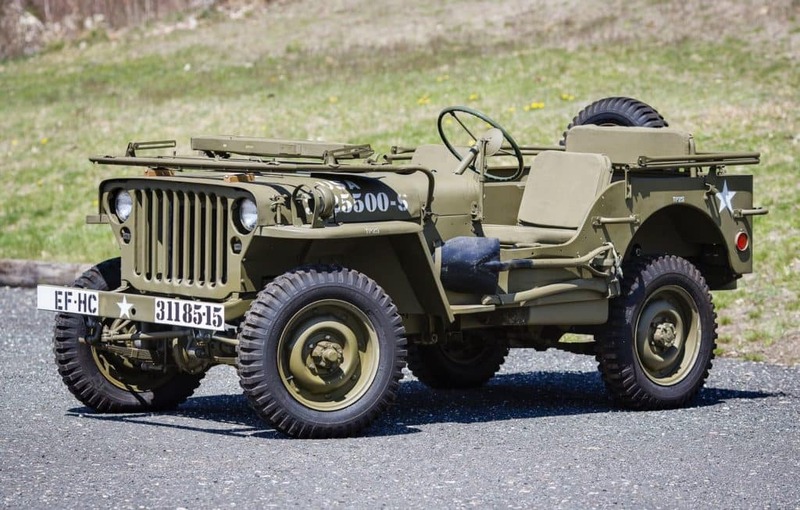 It was in July of 1940 when the U.S. Army initially put out a call for bids on a new military vehicle as they intended to replace their existing motorcycle fleet and modified Ford Model-T vehicles. Their specifications explicitly required a 600-lb load capacity, vehicle height to be less than 36 inches, a wheelbase no longer than 75 inches, overall vehicle weight to be below 1,300 lbs, a fold-down windshield, four-wheel drive capability, an engine capable of smoothly running between 3 to 50 miles per hour, and a rectangular body. It’s safe to say that what would later become a Jeep vehicle adhered to the Army’s rules nearly to perfection. That seven-slot grille everyone knows and loves? It was designed by Ford, not Willys-Overland. That’s right, it can’t even be remotely attributed to what would eventually become the Jeep brand. A slotted front grille with integrated headlights can be traced back to an early pilot model from a Ford design study that originally had 13 slots. All Jeep-branded vehicles sport a smile with a seven-slot grille to this day. Jeep vehicles became available to the general public in 1944 when Willys-Overland introduced the CJ – Civilian Jeep. It came with an added tailgate and was devoid of all military hardware. In 1953, Willys-Overland was sold to Kaiser Motors; they initially changed the name to Willys, then to Willys-Jeep, and eventually dropped the Willys moniker altogether making room for the Jeep brand. The high-tier Overland trim that was added to the Grand Cherokee lineup in 2003 serves as an homage to the brand’s original nameplate: Willys-Overland. Five original pilot vehicles were initially submitted to the Army by various automakers back in the day. Only two of those models, both built by Ford, are known to survive today. The oldest known “Jeep”, the 1940 Ford Pilot Model GP-No. 1 “Pygmy”, is on display at the U.S. Veterans Memorial Museum in Huntsville, Alabama. It’s nice to revisit Jeep history to understand how the foundations set the stage for the brand’s current dominance. What more can the public crave but a vehicle crafted with care and an iconic callback to the road less traveled? Start your journey off the beaten path with a 2018 Jeep Wrangler, or if you’re feeling a bit more luxurious check out our inventory of the 2018 Jeep Grand Cherokee. The Jeep Experts at Hollywood Chrysler Jeep know there’s a Jeep vehicle here just for you! Know any other cool Jeep facts we might’ve missed? Let’s chat about it on Hollywood Chrysler Jeep social media.